Remarks by Tim Caughley introducing UNIDIR publication ‘Negotiation of a Nuclear Weapons Prohibition Treaty: Nuts and Bolts of theBan’. 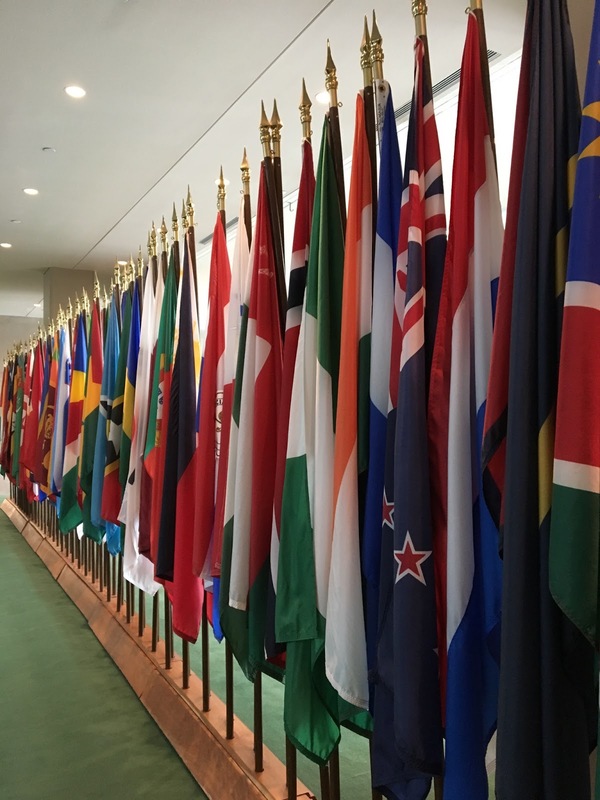 The negotiation’s formal title is ‘United Nations Conference to negotiate a legally binding instrument to prohibit nuclear weapons, leading towards their total elimination’. The first of these two papers deals with a large number—but not all—of the draft articles in the Conference President’s first draft of a nuclear weapon prohibition treaty or convention. I’m going to use ‘treaty’ and ‘convention’ interchangeably because, as legally-binding agreements or instruments under international law, treaties and conventions have equal legal effect despite views expressed to the contrary during the negotiations: point number one. Point number two: Since that paper was written and placed on line at the beginning of this session on 15 June 2017, the negotiations in this room have come quite a long way. The paper remains relevant, though, because it focused on the issues rather more than on the wording of the draft treaty. My third point is about the lens through which we viewed the President’s first draft of the treaty. This, I would describe, as ‘principle meets pragmatism’. Or, as better expressed by Ms Izumi Nakamitsu, the United Nations High Representativefor Disarmament Affairs at the opening of this session of the Conference on 15 June: ‘legally sound, technically accurate, and politically wise’. This leads me to point number four. 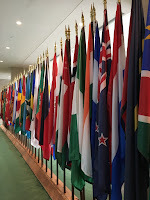 The prohibition convention is not intended to provide a comprehensive treatment of verified dismantlement and elimination of nuclear armaments as envisaged in the ‘Model Convention’ put forward in the Conference on Disarmament and United Nations originally 20 years ago by Costa Rica and Malaysia. - One, to take issue with a related point implicit in some interventions that a credible outcome to these negotiations cannot be achieved in three weeks. It can. A prohibition treaty can be both succinct and aspirational. - This is related to the second reason. — As was foreshadowed in the President’s first draft—and as has become clearer during these negotiations—a prohibition treaty offers in part a framework of sorts for future developments. - decisions taken by States Parties at their regular meetings or Review Conferences. In other words, the treaty can recognize and provide for second generation issues recognizing that as Ireland explained: ‘we cannot see into the future, we can only allow for it’. As UNIDIR notes in our paper, the level of ambition of the treaty needs to be tempered by this reality. Ideally though, matters that are to be left for further treatment will be described as clearly as possible in the final text for the future guidance of States Parties. Nonetheless, the mandate for meetings of States Parties should not be a straitjacket, but contain a reasonable degree of flexibility, a point stressed by Sweden among others. Relatedly, (point six) the treaty as a whole needs to be very clear about its relationship with other relevant agreements, principally the Non-Proliferation Treaty (NPT) and the non-proliferation regime, Nuclear Weapon Free Zone Treaties, and the Comprehensive Test Ban Treaty and its verification arm. The prohibition convention needs to sit comfortably as one among a number of elements leading ultimately to the elimination of nuclear weapons (as contemplated in the title to this conference and the United Nations General Assembly Resolution that established it). Obviously the NPT, as such a widely subscribed treaty, deserves greatest care in such an act of alignment. This is not only because of its near universal status, but also because of the sensitivity of nuclear weapons-possessing States not party to it to the manner in which the NPT is referenced, for instance, in United Nations General Assembly Resolutions. In the final analysis, the effectiveness of the prohibition treaty will be measured by its success in eventually securing the commitment of all States not to possess or use nuclear weapons. The prohibition treaty truly needs to provide a framework under which all States are able to join sooner or later thereby preserving the post-dismantlement era as a nuclear weapon free one. And I’ll stop there.